Winter, with its short days and cold nights, almost always sees a spike in energy consumption. When people hunker down inside their homes and workplaces, they typically crank up the heat and keep the lights on longer than usual. This means energy bills end up taking a hit. And while it may seem unavoidable during this time of year, there are actually several ways you can save energy during cold winter months, while still ensuring that your employees and customers in Milpitas stay warm. 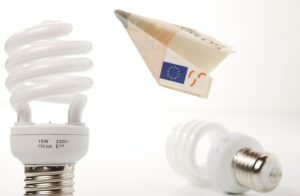 Here are a few tips to control your business’s electricity bill when costs typically skyrocket. You can save a lot of energy, not to mention money, if you set your thermostat properly during winter. Shoot for a steady temperature of 68 degrees during business hours when the space is occupied. Lower the temperature to around 60 degrees during closing time or when there’s no one around. This will keep the space warm enough for the next day, without having to drastically change the temperature settings when everyone comes back to work. A great way to save energy in winter is to use your lighting and heating only when necessary. There’s no point in illuminating or warming a space when no one is in it. That being said, it’s easy to get forget, and just leave the lights or thermostat on. Sensors and smart thermostats are offer a way to automate your lighting and heating, ensuring that the lights and heat come on at certain times of the day or when people are inside a particular room. Why wouldn’t you? It’s free and it beats artificial light any day of the week. Although winter skies are often overcast, what little sunlight passes through can still brighten up workspaces and lift people’s moods. Employees and customers will feel better, and your electricity bill won’t go over the roof. So, pull up your blinds back and let the sun in. Insulation is ultimately the key to preventing heat transfer in your building and save energy as a result. A properly insulated building is more effective at preventing heat from leaking outside, helping you avoid turning up the heat unnecessarily. So, before the cold sets in, it pays to inspect your building’s insulation and make the appropriate changes. Incandescent bulbs are a thing of the past. Aside from the fact that they’ve been phased out in most countries, incandescent bulbs pale in comparison to newer, more energy-efficient LED light bulbs, whether it’s with energy consumption or lighting quality. 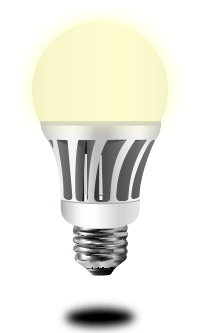 A 100-watt incandescent bulb, for example, will have an 8 to 10-watt LED equivalent, which translates to a substantial savings even if you keep your lights switched on for longer. And with their solid-state construction, LED lights are also longer lasting, which means you won’t have to replace them as much. One last thing you can do to save energy in winter is to conduct an energy audit so you’ll know which areas can generate energy savings. Follow these tips to keep your business warm while saving money during winter. Copyright © 2019 Energy Efficiency Pros Phoenix - All Rights Reserved.